Will your children believe in Jesus when they graduate from high school? "I think it's time to get our kids out." The most important reason for you to homeschool is for the sake of your child’s soul. There has never been a better time to homeschool. Never before have parents had access to such a wealth of educational resources and technology for home education. 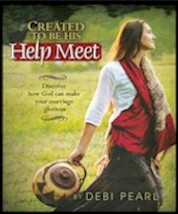 And, Christian homeschool support groups abound, offering parents a helping hand in homeschooling. There is an abundance of extra-curricula activities for homeschoolers to participate in, with opportunities for wholesome friendships and real-life learning experiences. Homeschoolers avoid harmful school environments where God is mocked, where destructive peer influence is the norm, where drugs, alcohol, promiscuity and homosexuality are promoted, and where school violence is on the rise. It is natural to feel uncertain when you begin. Pray and trust God for the confidence you need. Get the support of other believers by contacting the homeschool organization listed on the back of this brochure. 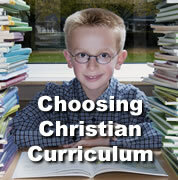 Research homeschooling by attending Christian homeschool conventions and reading books like Home Schooling: The Right Choice by Christopher Klicka. Keep your young ones home and out of preschool which disrupts family bonding, teaches inconsistent discipline, and exposes children to harmful peer behavior. 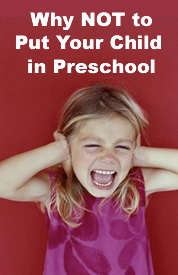 Avoid government homeschooling programs such as "charter schools" and public school independent study programs. These government programs usurp the father’s God-given headship over the family and focus the homeschool on humanist goals and curriculum. What does God say about education? "And these words which I command you today shall be in your heart. You shall teach them diligently to your children, and shall talk of them when you sit in your house, when you walk by the way, when you lie down, and when you rise up." Jesus said: "Can a blind man lead a blind man? Will they not both fall into a pit? A student is not above his teacher, but everyone who is fully trained will be like his teacher." "Learn not the way of the heathen." 1. Lawrence Rudner, Scholastic Achievement and Demographic Characteristics of Home School Students in 1998, Education Policy Analysis Archives, epaa.asu.edu. 2. Homeschool Legal Defense Association, Home Schooling Achievement, 2001, hslda.org. 3. Brian D. Ray, Ph D., Home Educated and Now Adults, National Home Education Research Institute, 2003, nheri.org. 4. Brian D. Ray, Ph D., Homeschoolers Grown Up, 2004. 5. Dr. James Dobson, Focus on the Family Radio, March 28, 2002.